No matter your age, the best 'Goosebumps' books are frighteningly entertaining. Goosebumps has the benefit of appealing to both young kids and adults who grew up in the nineties and still have plenty of nostalgia for the nights they stayed awake reading the classics. Even those nineties kids who weren’t into reading probably caught at least a few episodes of the TV adaptation. 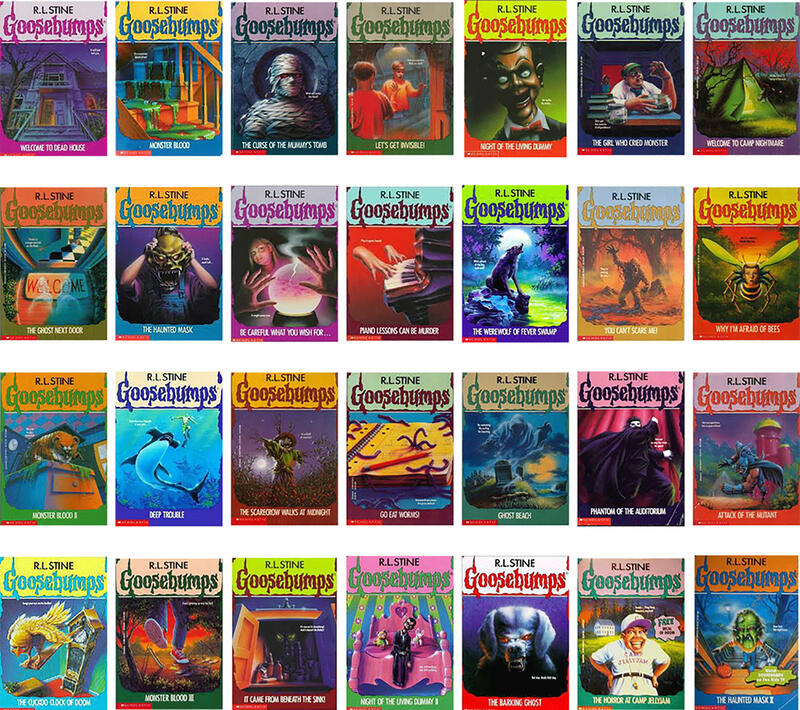 The Goosebumps book series is one of the most popular children’s series of all time. Since the first publication in 1992, the series has sold over 350 million books worldwide in 32 different languages. Published in July of 1993, Welcome to Camp Nightmare is about a boy named Billy who attends a camp where the counselors are a little strange and the camp director seems off. He tries to tell his parents about the strange events taking place, such as fellow campers vanishing, but they don’t answer his letters. This story is so popular because it emulates the fear and anxieties of sleep away camps that kids did not want to go to during the summers. Imagine putting on a Halloween costume and never being able to take it off. In The Haunted Mask, Carly Beth puts on a mask for Halloween and soon realizes she cannot take it off because it has become her face. She begins to act more like the scary mask and has to find a way to take it off to become herself again. R.L. Stine admits he was inspired to write this when his own son put on a mask that he could not take off. This story is about a family that visits a theme park called HorrorLand where the children lose their parents after going on some dangerous and scary rides. Little do they know that no one leaves HorrorLand alive. This book is one of the most popular books in the series and spawned a video game and a spin off series called Escape from HorrorLand. The Curse of the Mummy’s Tomb is about a boy named Gabe who goes to Cairo with his parents while they conduct business and stays with his Uncle Ben and cousin Sari. They visit a supposedly haunted pyramid and run into a mummy and his curse. This book was so popular that it got a sequel called Return of the Mummy which was turned into an episode for the Goosebumps TV series. Parents love their lawn decorations, but some just need to be destroyed. Joe Burton’s dad puts a bunch of lawn ornaments all over the front lawn but two ugly garden gnomes seem to cause a lot of trouble when they begin whispering and squashing the family garden. These little foes got their own TV episode and are also featured in the Goosebumps film. In Say Cheese and Die!, Greg finds an old camera but there’s something wrong with it; any objects he takes a picture of shows up wrecked and any person shows up like a skeleton. R.L. Stine was inspired to write this story after watching A Most Unusual Camera from The Twilight Zone. The book itself was an episode for the TV show and it got two sequels, Say Cheese and Die—Again! and Again! Grady Tucker moves to a new house right next to Fever Swamp with his parents. Things get strange when a swamp deer gets murdered and a neighbor disappears, prompting Grady to believe that a werewolf is the culprit. This book was turned into an episode for the Goosebumps tv series and was turned into a comic book in the Goosebumps Graphix book, Creepy Creatures. Deep Trouble features sharks, mermaids, kidnappers and a lot of money. Billy and Sheena Deep spend their summer with their uncle Dr. Deep when sea creatures cause a lot of trouble for the group. While this book was not turned into a tv episode, its sequel Deep Trouble II was while the other sequel, Creep from the Deep, was not. Like The Werewolf of Fever Swap, this book was also turned into a comic book in Terror Trips. When Jodie and Mark visit their grandparents’ farm, they notice something is strange about their grandparents’ behavior as well as the multiple scarecrows all over the farm. The tagline, “It’s a field of screams!”, is a reference to the film, Field of Dreams. The book was adapted to the small screen as an episode of the Goosebumps TV series and a comic book for Creepy Creatures. This book is probably the best known Goosebumps book ever written because of how scary it is. Sisters Lindy and Kris find a ventriloquist dummy in a dumpster and Lindy takes it, naming it Slappy. When Kris gets a dummy of her own and names it Mr. Wood, he begins traumatizing the girls and calls them his slaves. While Mr. Wood finds his demise, Slappy comes alive at the end of the book. It spawned two sequels, Night of the Living Dummy II and Night of the Living Dummy III and terrorized children for years to come. Slappy makes an appearance in the Goosebumps film. 'Spider-Man: Homecoming' Trailer — Will Iron Man Take On The Vulture? Are More Avengers On Their Way? A Major Character Will Die On 'The Vampire Diaries' Series Finale — But Who Is It Going To Be? 'Arrow': With The Air Cleared, Is The Way Finally Paved For An Olicity Reunion?